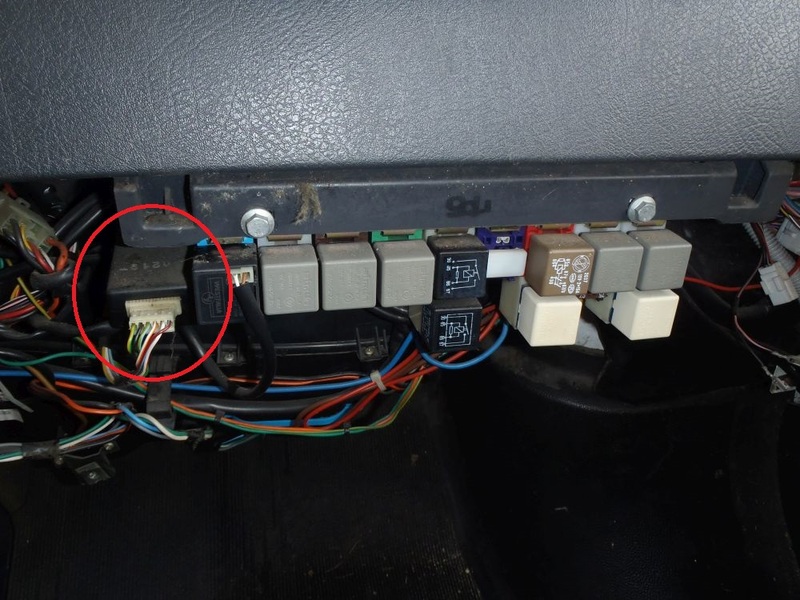 The first and easiest to check is the module that controls the gauge in the dash, this module is located behind the dash underneath the glove box and if you use the cup holders in the glove box lid spillages can run off the lid and get into the module/connector, causing all sorts of weird electrical gremlins. 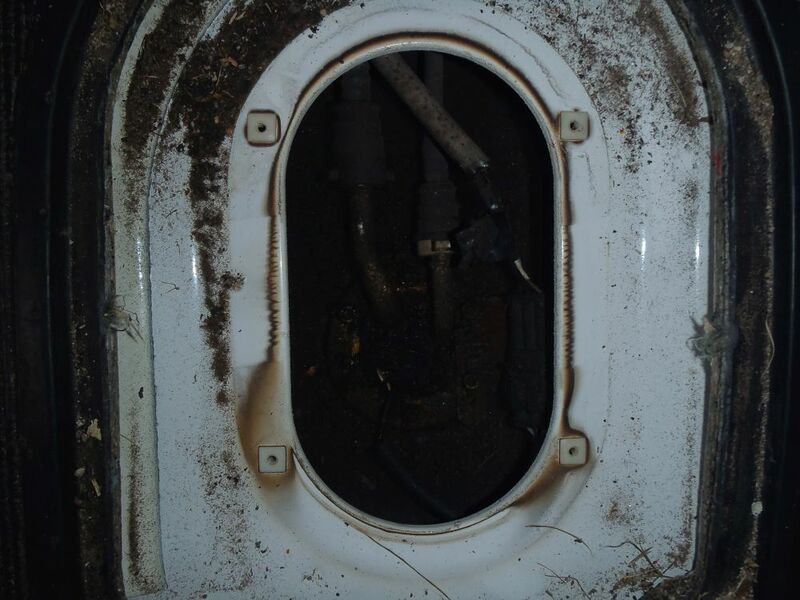 If you unplug the connector you will be able to see if anything has got into the connector, and a spray of electrical contact cleaner should sort it out if it has. You can also remove the module completely and take the board out to see if anything has got into the housing itself. Again, electrical contact cleaner can be used to clean up the board if necessary. 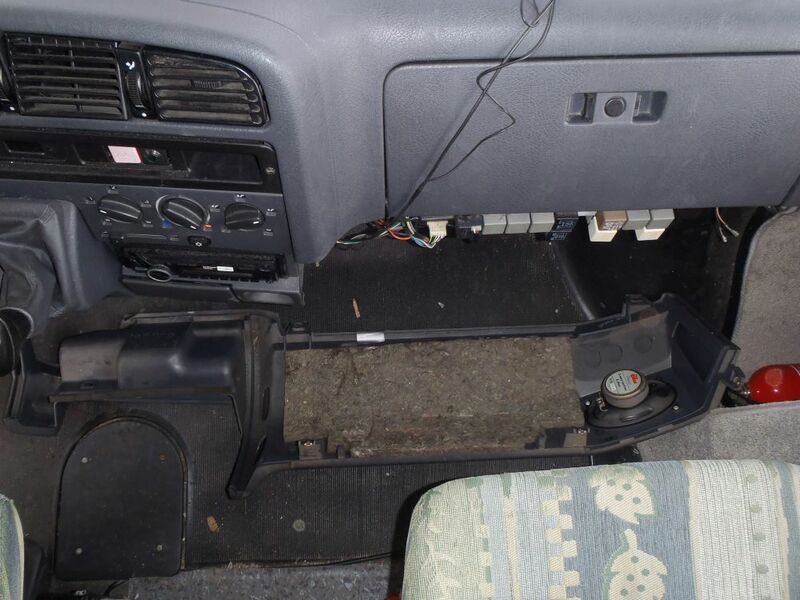 This area is exposed underneath the van and as you can see quite a lot of crap gets on it over the years! Cleaning these two areas sorted all the problems on our bus. If you are still having problems after this point it is probably an issue with the fuel level sensor itself in the tank – to check/replace this you will need to remove the two fuel lines from the clips in the photo above, then undo the six hex nuts on the circular plate to lift the whole unit out of the tank. 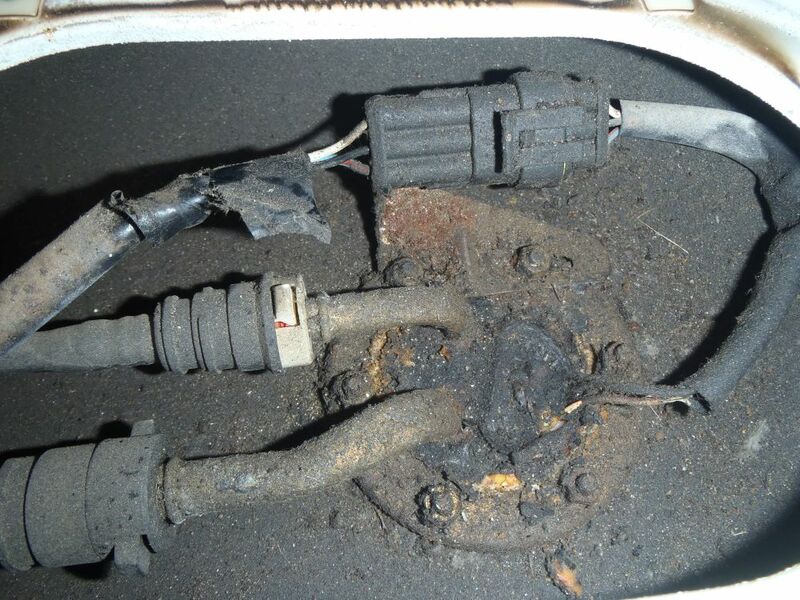 Note – if you have a later common rail engine you may have an electrical lift pump in the tank, in which case there will also be wiring for this going to the tank unit. Hope this helps, if you have any questions/comments or know of any other common issues/fixes please let me know below!